This is a unique solid silver wave ring by Pa-pa. It has been made using silver wire to form the wave and a real cockle shell found washed up at a local Gower beach which has been cast in solid silver. 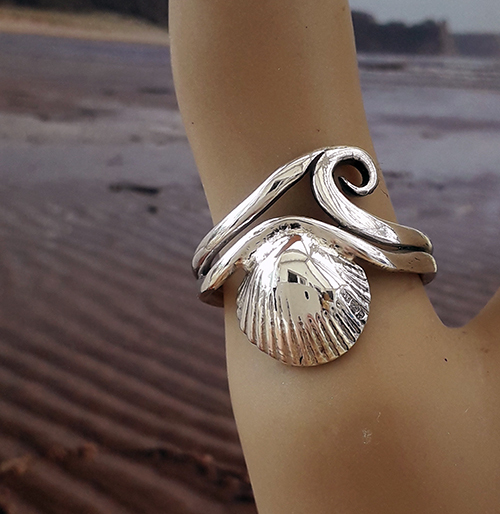 Pa-pa has combined a love for seashells and waves in this unusual shell ring design.